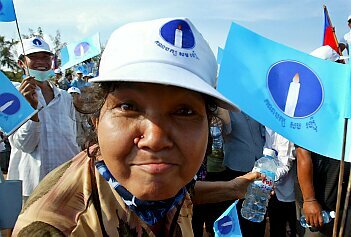 SRPCS heartedly appeals to all Cambodians who live in Sweden or in other countries to help support communal election in 2007 for SRP. Our activists in every commune are committed to serve our land in fighting constitutionally to bring about democracy and justice for our nation as whole. They now are so in need of both ecouragement and financial support from us who live abroad for they are sacrificing so much regardless of their daily litle resources and lives. Why can´t we do something to help them for communal election campiagn paving the way for the government change in 2008 for better Cambodia? Please choose any commune (where you were born) then send your financial support to them. * Need more information please feel free to contact us. 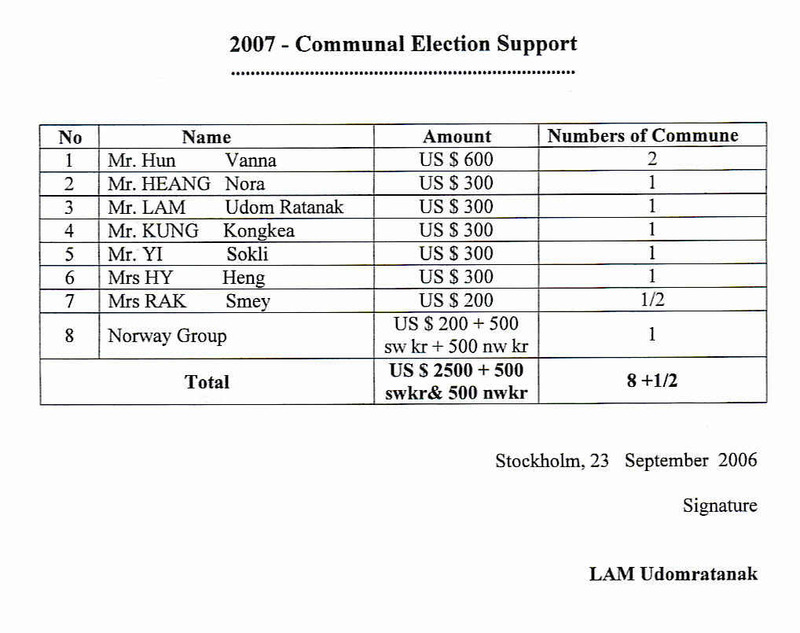 Please click below to see the report of 2007-Communal Election Support Sheet.